Flocktober Win Prizes Free Coop Sign & More! It’s Flocktober at J&N Feed and Seed! 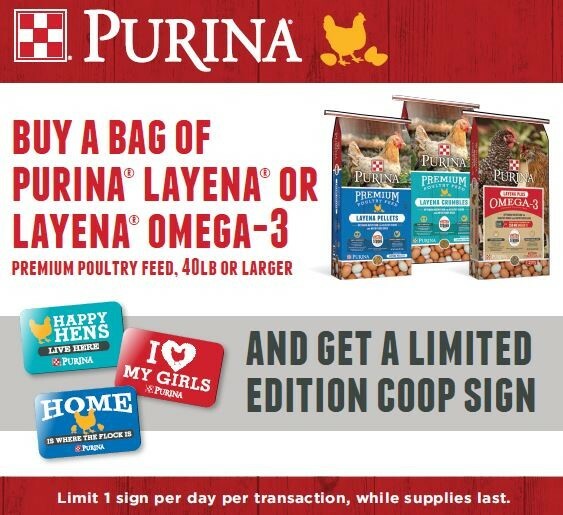 During Flocktober, get a FREE limited-edition coop sign, when you purchase a bag of Purina Layena or Layena Plus Omega-3, 40lb bags or larger! While supplies last. You can also register here for a chance to win one of these fabulous prizes! A pearl necklace from Tiffany and Co.
Stop by J&N Feed and Seed this Floctober for Purina Layena poultry feed and all your coop supplies. This entry was posted on Wednesday, October 14th, 2015 at 11:35 am	and is filed under Chicks, Events, News & Updates. You can follow any responses to this entry through the RSS 2.0 feed. Both comments and pings are currently closed.